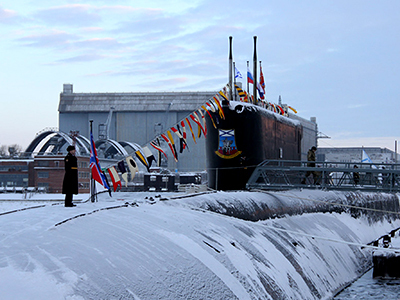 Russia’s third Borei-class nuclear-powered submarine Vladimir Monomakh has officially become part of the Russian Navy. 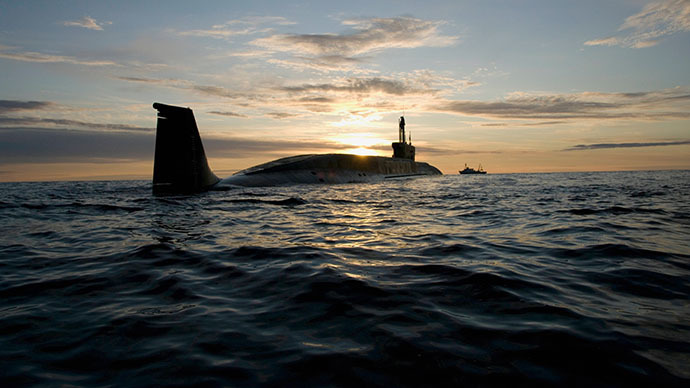 Armed with Bulava ballistic missiles, the SSBNs of this class are the planet’s most advanced nuclear deterrence tool. Russian Defense Minister Sergey Shoigu attended the ceremony of raising the Russian Navy colors on the submarine on Friday, December 19. The Borei-class, Project 955, fourth generation SSBN (Ship, Submersible, Ballistic, Nuclear) Vladimir Monomakh has been built at Sevmash shipyard in Russia’s White Sea port of Severmorsk. It followed two first vessels of the same project, the lead vessel of the series SSBN Yuriy Dolgorukiy and SSBN Alexander Nevsky, which both joined the Russian Navy in 2013. According to the Russian military, Borei-class are state-of-the-art submarines, featuring characteristics superior to any submarine currently in service worldwide. The Borei-class subs are replacing outgoing nuclear subs of the previous generation and are set to become the backbone of Russia’s sea-based nuclear defenses. A Borei-class sub is 170 meters long and 13.5 meters wide, and can dive up to 450 meters. They have a compact, hydro-dynamically efficient hull for reduced broadband noise and are the first to use pump-jet propulsion among Russian submarines. Their submerged cruise speed is at least 30 knots (56 kilometers per hour). Safety measures for the subs include a rescue chamber that can host all 107 crew members. The primary weapon of the Borei SSBNs is the Bulava SLBM (Submarine Launched Ballistic Missile, SS-NX-30 by NATO designation) solid fuel missile with well over a 9,000 kilometer firing range capability. Bulava’s payload is 6 to 10 hypersonic, individually guided, maneuverable nuclear warheads with a yield of 100 to 150 kilotons each. 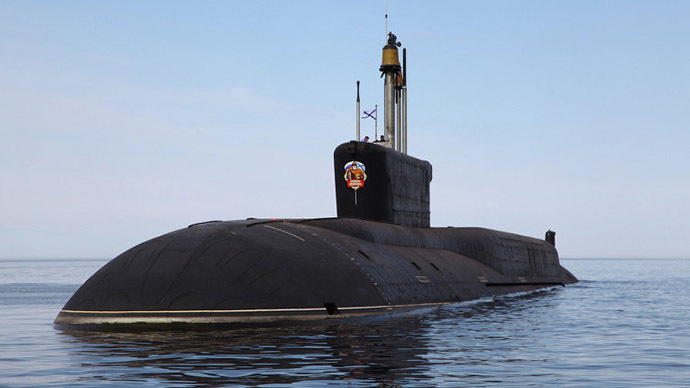 Each Borei submarine, designed by the Rubin Central Design Bureau for Marine Engineering in St Petersburg, is armed with 16 Bulava intercontinental ballistic missiles. The Bulava missile has had a somewhat troublesome development history, with technical glitches plaguing the early tests. Altogether there have been 22 launches in the SLBM’s history. However, out of the last 10 launches, only one failed. The SSBN Vladimir Monomakh was handed over to the Russian Navy on December 10, having completed all trials and tests, including a successful Bulava launch in September. 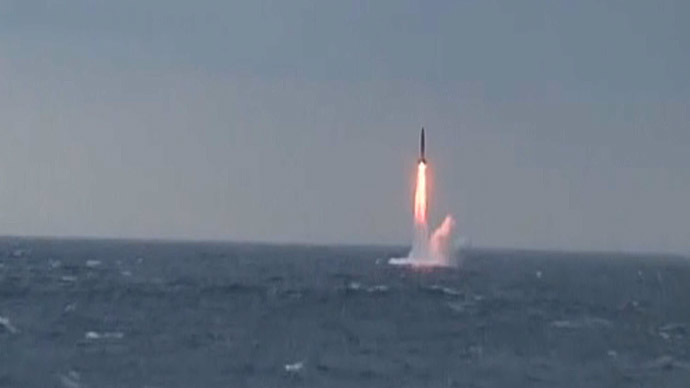 The underwater missile launch was carried out from the White Sea off the northwest Russian coast. All warheads hit the Kura test range in the Kamchatka Peninsula in the Russian Far East, the Defense Ministry said in a statement. That missile launch was followed by two more successful launches carried out by the SSBN Yury Dolgorukiy in October and the SSBN Alexander Nevsky in November. A fourth Borei-class submarine, Knyaz Vladimir, is currently under construction in Severomorsk, while a fifth, Knyaz Oleg, was laid down at the Sevmash shipyard in July. 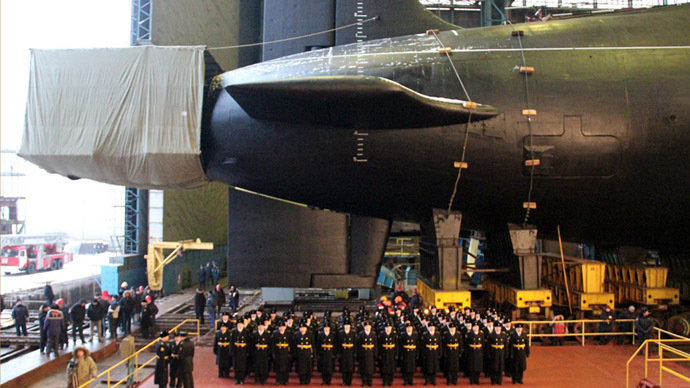 The SSBN Knyaz Oleg will become the first of the upgraded Project 955A submarines, which will boast smaller hulls and cons as well as even better acoustics and lower sound levels. 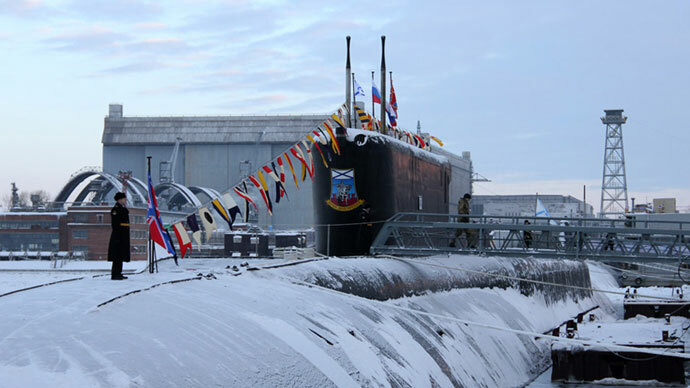 The sixth Borei-class sub, SSBN Knyaz Suvorov, will be laid down in Severomorsk on December 21. By 2020, the Defense Ministry plans to have eight Borei-class subs as the backbone of the naval component of the country’s strategic nuclear deterrent.